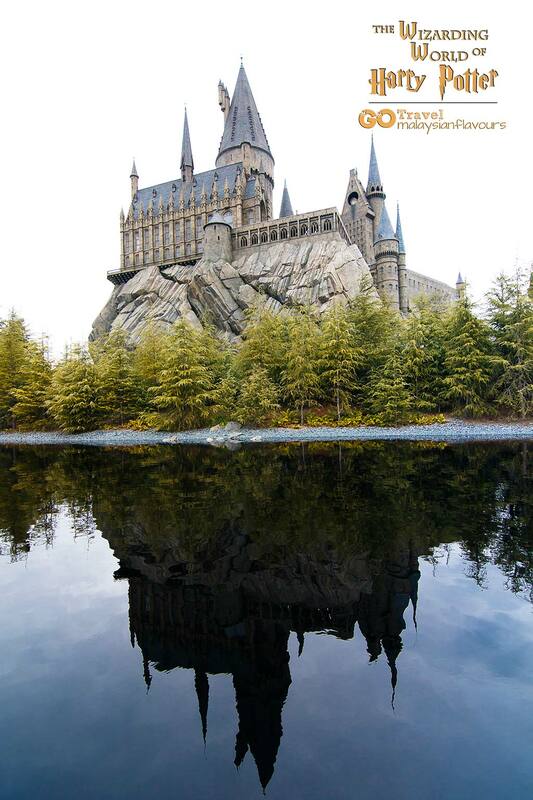 Universal Studios Japan ( 大阪日本環球影城 ) is clearly, one of the best attractions in Osaka prefecture. Highlights in our Japan trip, a place which we wish we could stay longer if there was no ticket entrance time limit. 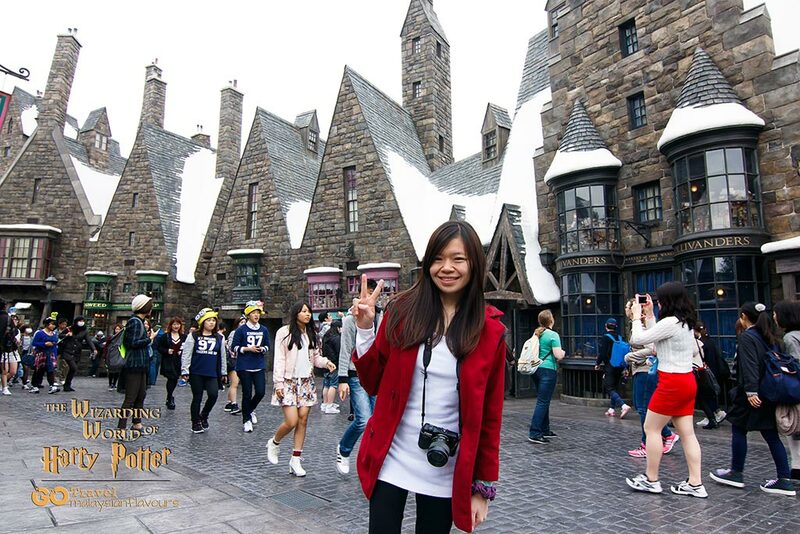 It is always fun to spend a day in theme park when travelling to other countries. 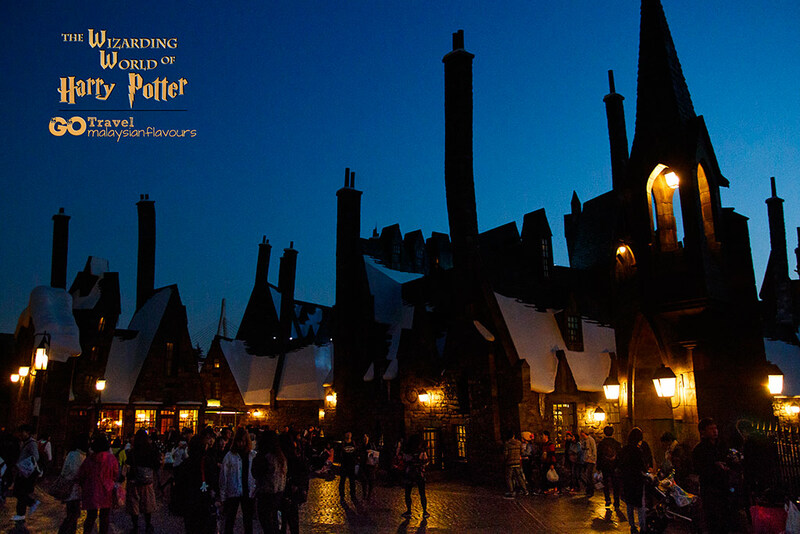 We generally love Universal Studios over Disneyland, as the former is more exciting, with more thrilling rides. 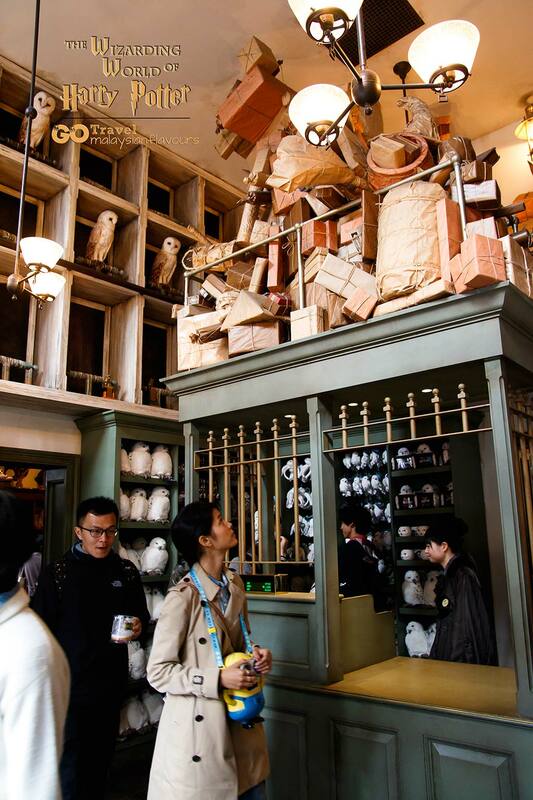 And, the main reason that drives us to visit USJ is — “THE WIZARDING WORLD OF HARRY POTTER 哈利波特魔法世界 ” zone!! 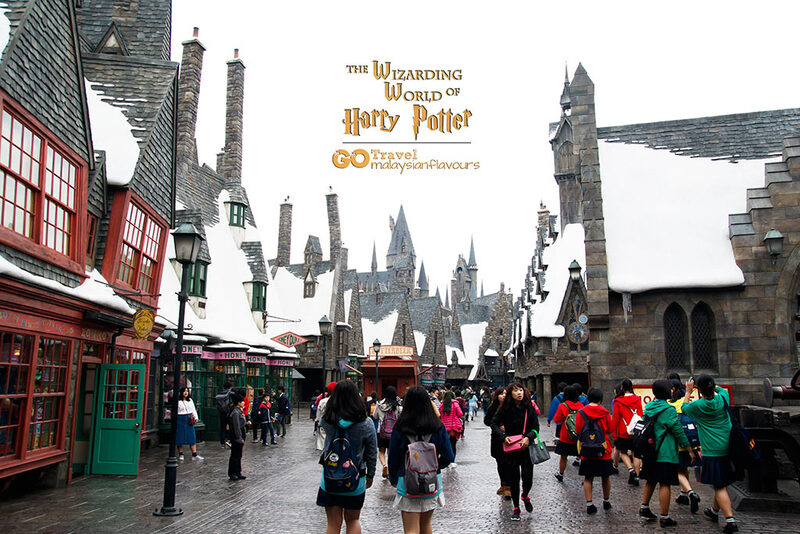 We are not die hard fans of Harry Potter but having to complete all 7 novels from the series, we couldn’t help but to be excited with our USJ trip. 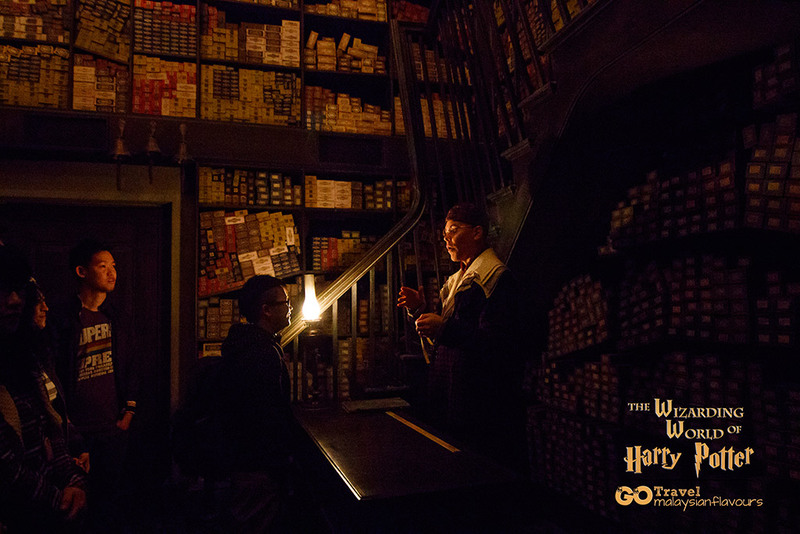 There are a lot of things we would love to share with readers from the visit, hence we will separate the review into 2 parts, part 1 mainly for insights on Harry Potter while part 2, for other attractions zones and some “how to”. 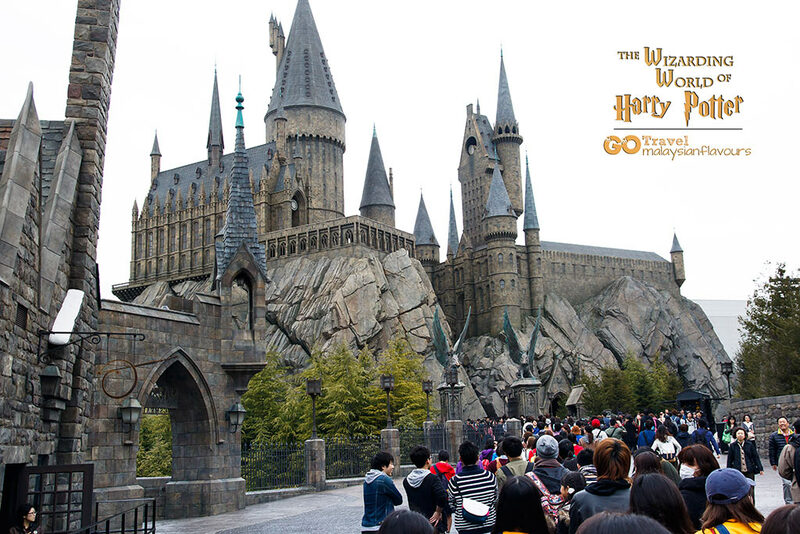 Where to buy Universal Studios Japan ticket in Malaysia? Through travel agency – Apple Travel, JTB Malaysia, Wendy Tour, Reliance, and IGNS holidays. 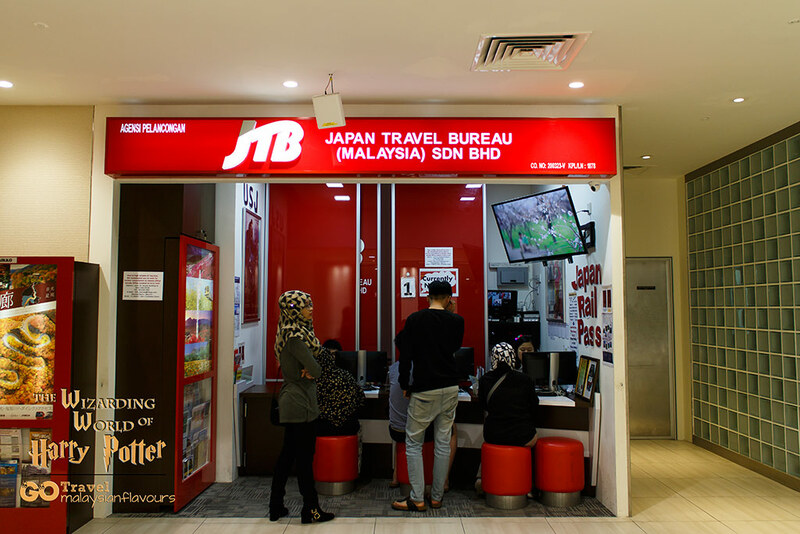 The easiest for us to reach is JTB ( Japan Travel Bureau ), which has an express outlet inside Isetan KLCC. We bought the ticket at RM293 per pax (7400yen + 300 yen processing fee, purchased in February 2016). You can actually buy Universal Studios Japan ticket at Kansai Airport Tourist Information Counter, or at the USJ ticket counter itself, but due to our kiasu-ness, we decided to buy earlier. LOL. Yeah, ticket in hand. 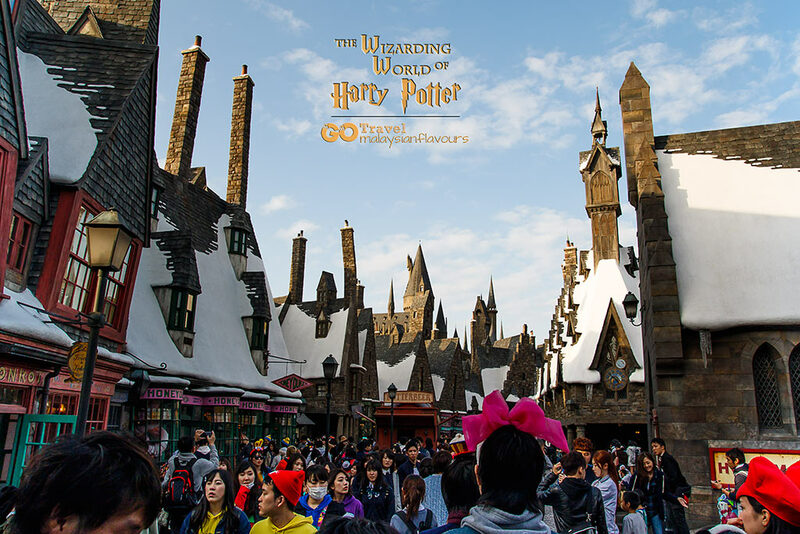 However, having a ticket to Universal Studios Japan doesn’t guarantee you a ticket to enter The Wizarding World of Harry Potter. That says, if you reached USJ too late and this attraction is already congested with people, staffs will not allow you to enter. 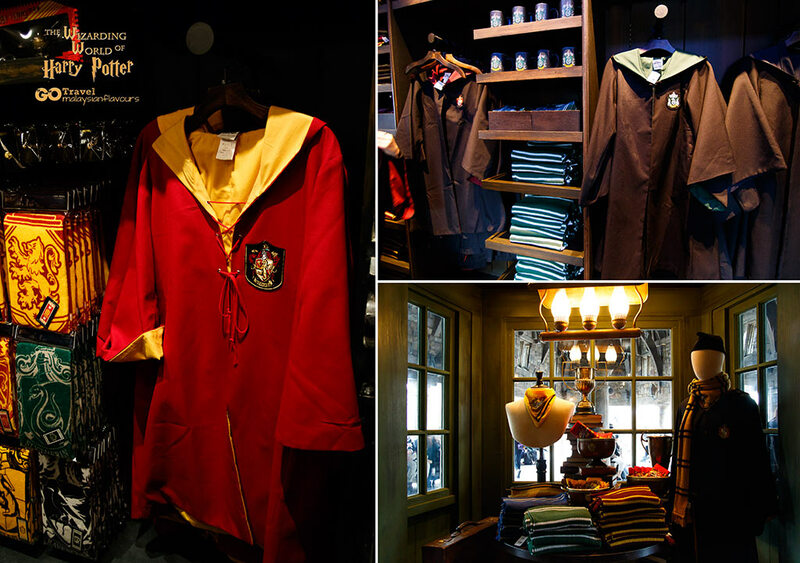 So how to make sure you can get an entry to USJ Harry Potter World? Be early or buy an express ticket. 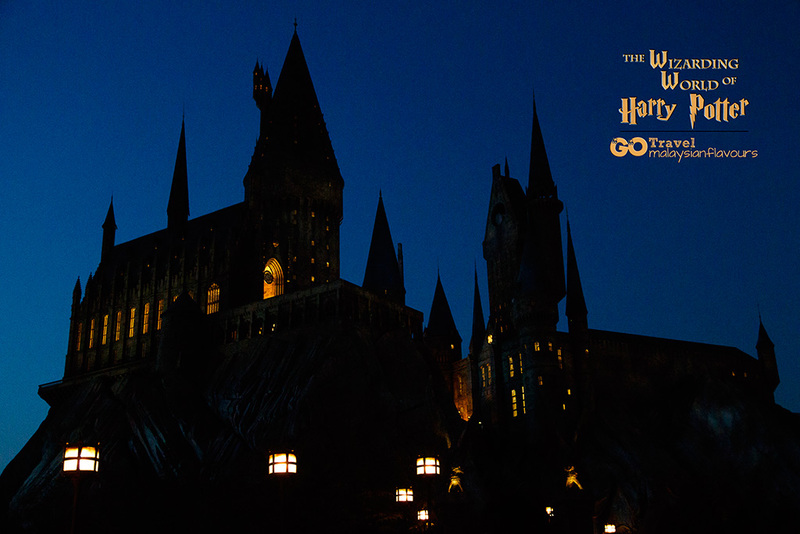 Initially, visitors need to withdraw special Timed Entry Ticket to reserve an entry to The Wizarding World of Harry Potter. 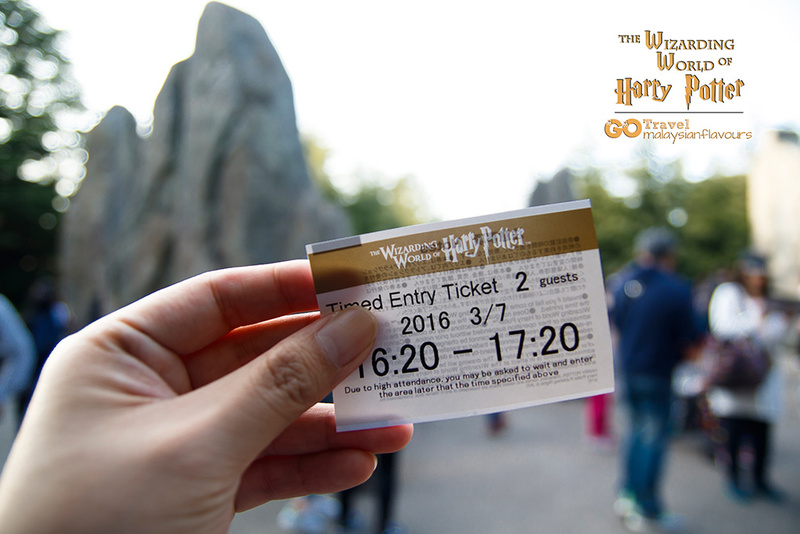 The ticket will state the time you can enter the park. E.g. if the ticket show 4.20PM -5.20PM, you will need to go in within this hour. 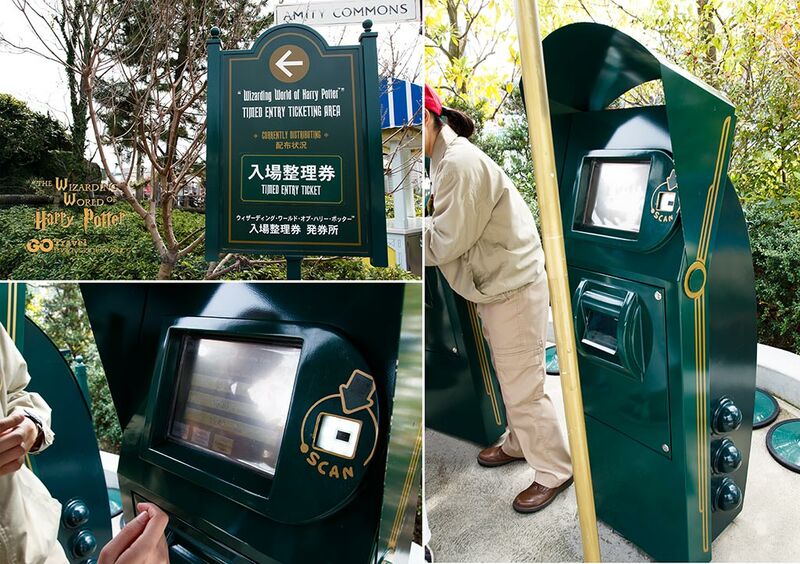 If all tickets finished, you’ll need to test for your luck and wait at the ticket machine area. If there are extra “space” during certain hours, staff will announce so. Seems so “Bah Bei” but understood, and in fact much needed to control the overwhelming crowd. By now, the condition is better. 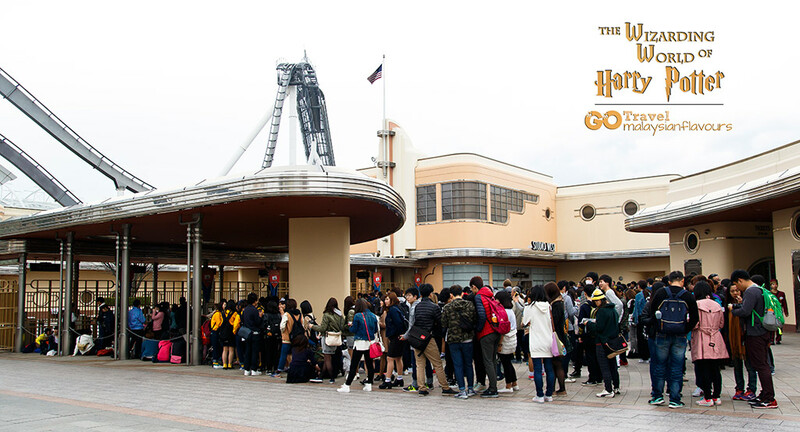 Those who enter USJ earlier will be able to go in without having to draw a Timed Entry Ticket. 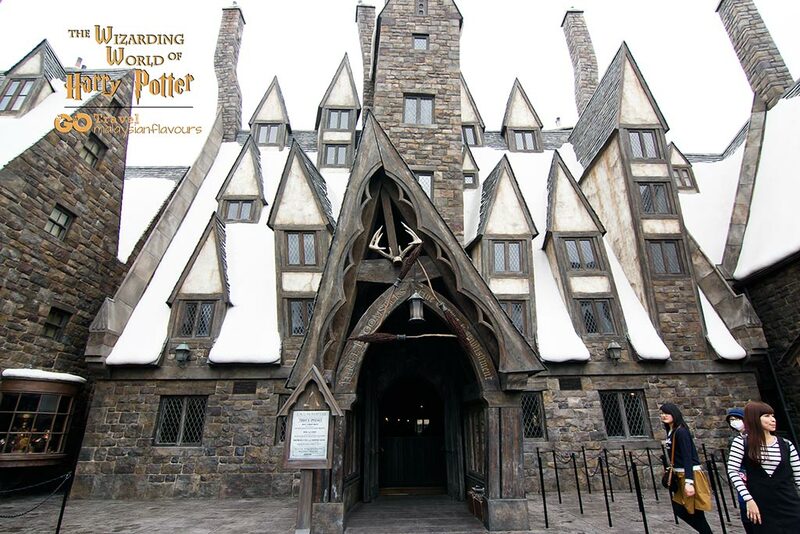 Visitors are required to reserved their entry using Time Entry Ticket only at peak hours. 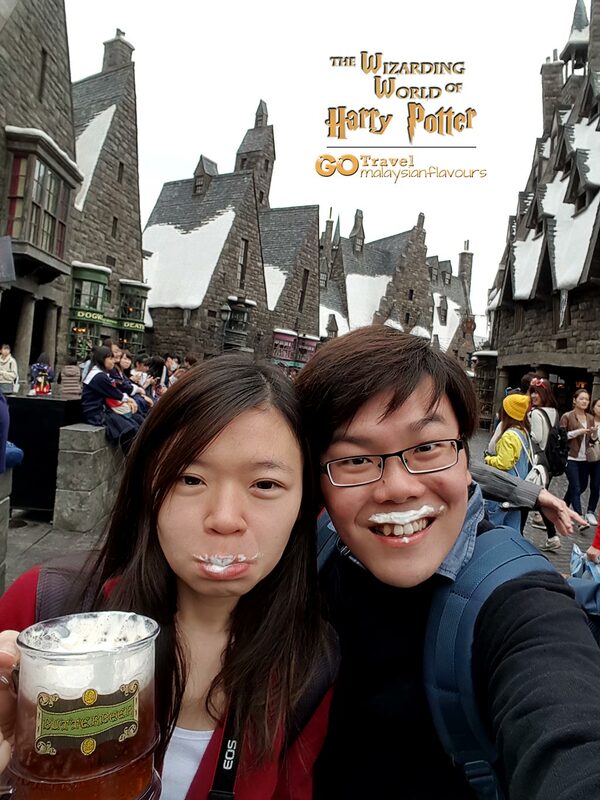 For us, we managed to enter Wizarding World of Harry Potter TWICE. hehehehe. Read on to know how. 2.Stay in hotel nearby and be there by 8.30AM. In case you doesn’t want to wake up too early like us, suggest to stay in hotels nearby but of course, accommodation price will be expensive. 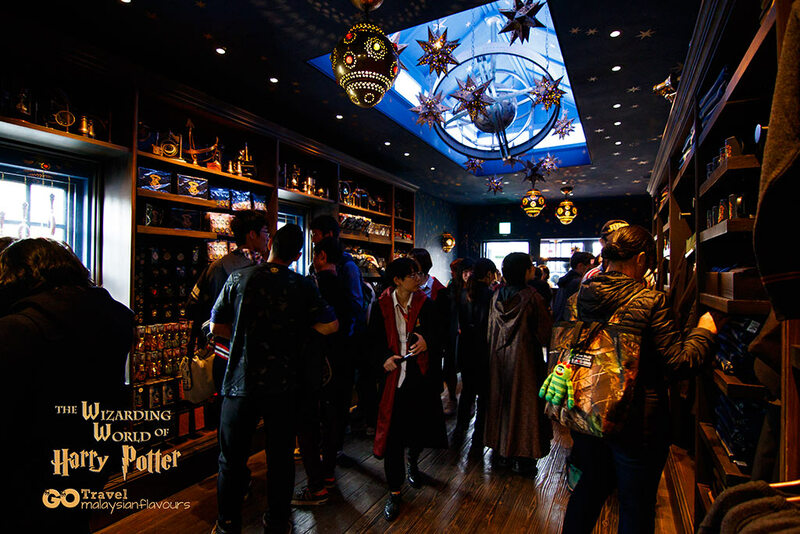 There are quite a number of hotels located just 5 minutes walk from the park – Hotel Keihan Universal City, Hotel Kintetsu Universal City, Park Front Hotel @ Universal Studios Japan, Hotel Keihan Universal Tower and Hotel Universal Port. The plus point : partner hotels offer early bird entrance, where staffs will allow you to enter earlier than others. 3. 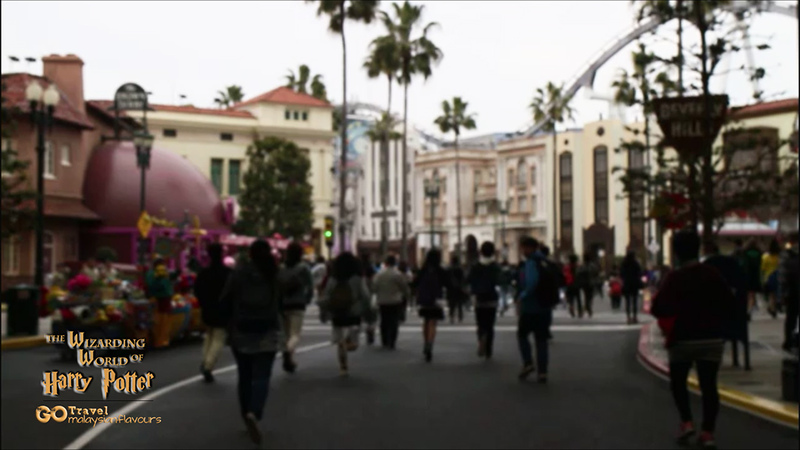 Skip the colourful buildings along the way from Universal City train station to USJ. Yeap, we know you are excited, and might start taking pictures once you step out from the train. But, hold your excitement, skip this and go into USJ queue first. 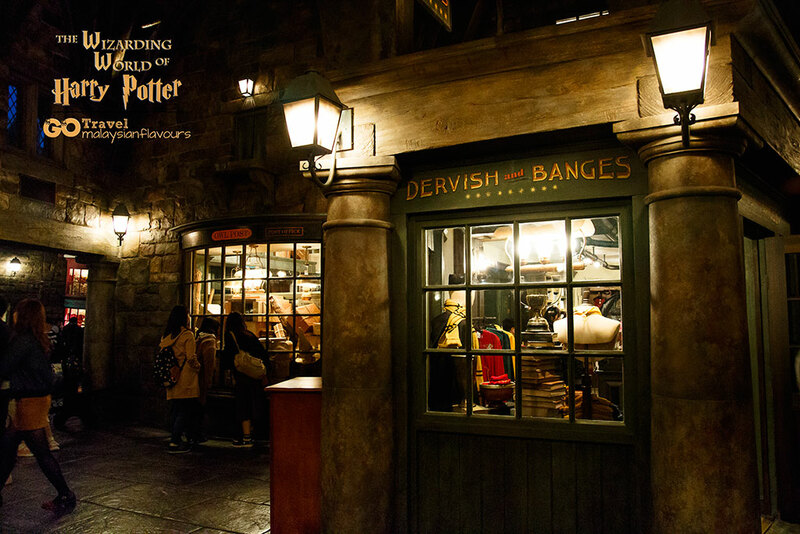 You can still take pictures of these shops when you leave USJ later in the evening. 4. Queue at the correct lane. 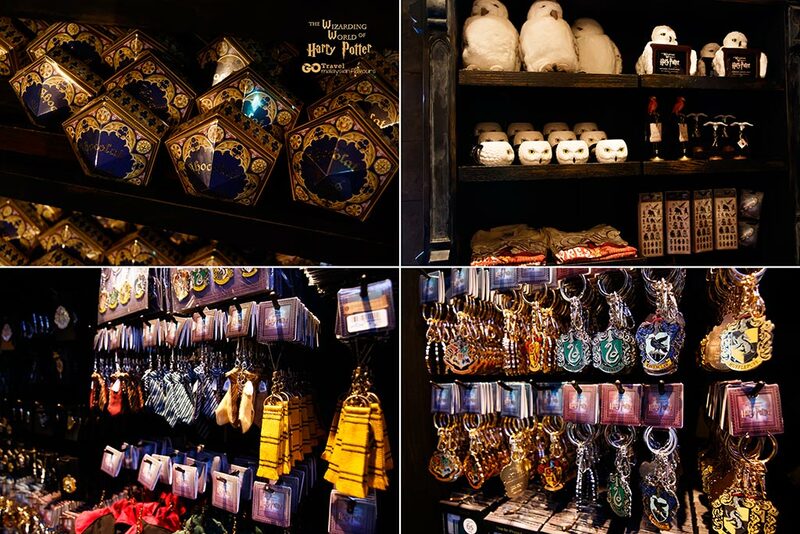 Once reached, you will see more than 10 entrance to USJ. Few of the lanes stated “Early Bird”, which are for parter hotel guests. Unless you are staying in these hotels which provide you with privilege to enter early, else just pass the lane and queue accordingly. Queueing at the wrong lane means you wasted your “wake up” early effort. 5. Practice your 100M running speed. 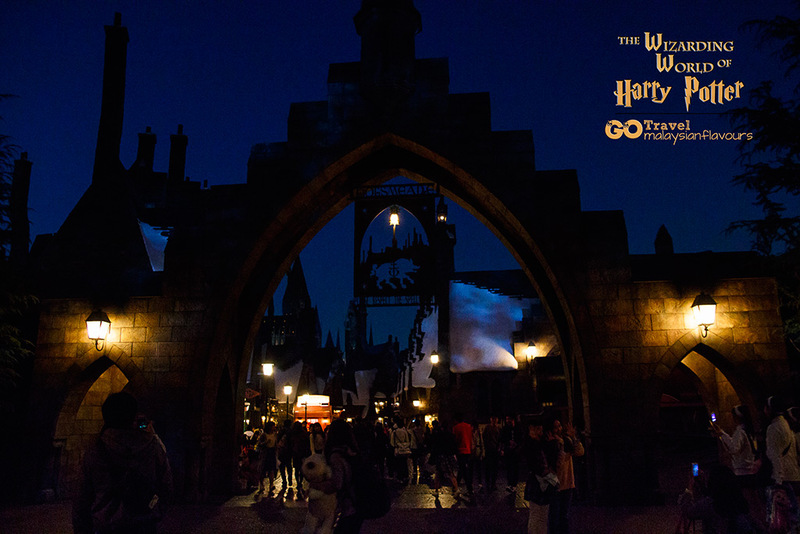 Yes, you need to run, as fast as you can before the gate to “wizarding world” is closed. Actually we were not too sure why we had to run. Maybe because everyone run, so we also run. Hahahahaha. Just practice ahead. 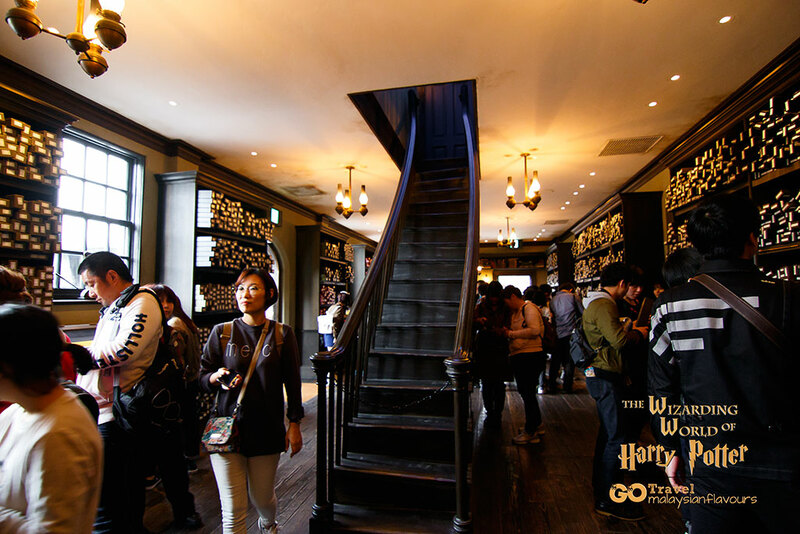 ‘coz if you missed to be the first batch to enter Harry Potter zone, you will need to withdraw a pass from ticket machine. 6. 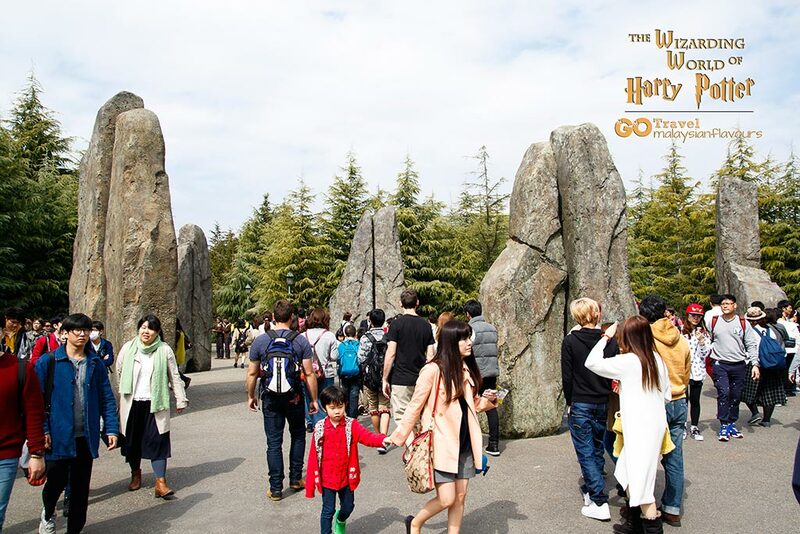 Follow the crowd and start RUNNING once the entrance gate is opened ! By 8.40AM, we were allowed to go in. So we saw the funniest scene in USJ where everyone was running as if there were 100 big monsters chasing after them behind. Picture as prove hahahaha. Apologize on the blurred picture. Well, you know, the picture has to be shaky and blur when you took a picture while you are running. Too troublesome? OK la, another simplest option – buy an EXPRESS TICKET, enter any time you wish to and skip all the lengthy bla bla bla above. 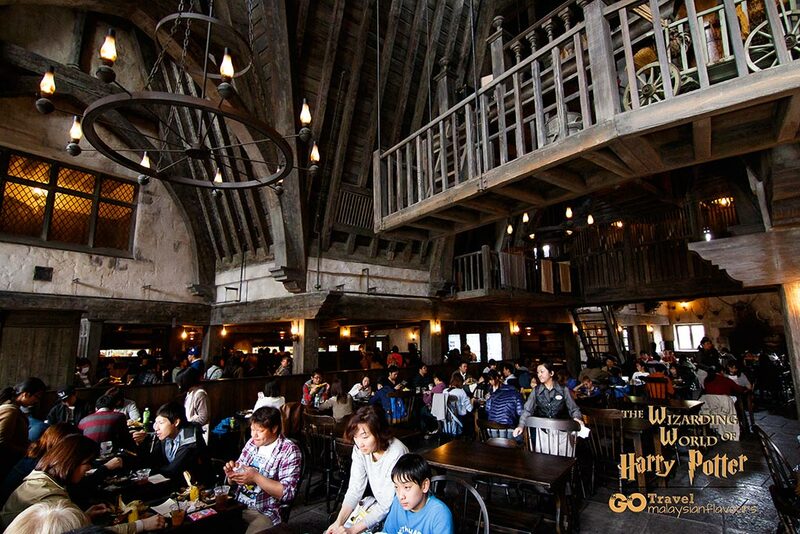 You can purchase Universal Express Pass 4 Standard (4500 yen) or Universal Express Pass 7 ( 6900 yen with tax). We were almost there. Platform 9 3/4 was just in front! Jiang Jiang! 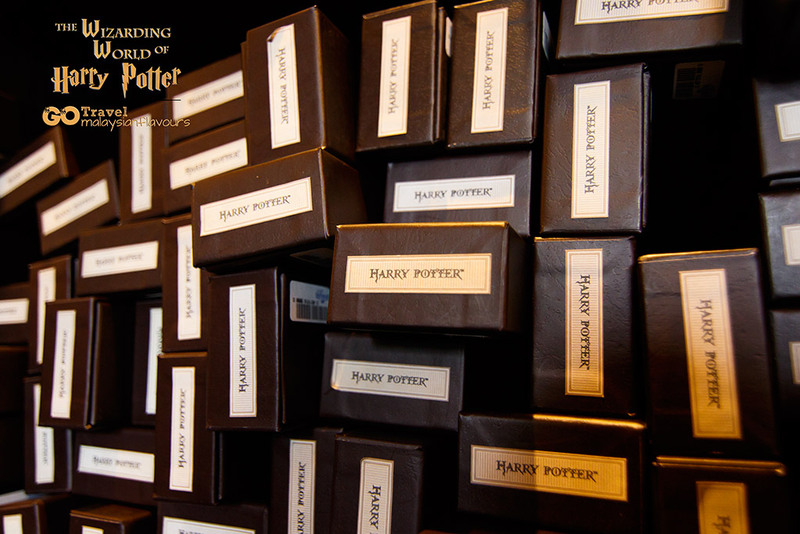 Passed through the platform 9 3/4 and transported into the magical world. Oh yeah! Words couldn’t express our happiness when seeing the place in person. IT IS REALLY, REALLY AMAZING!! 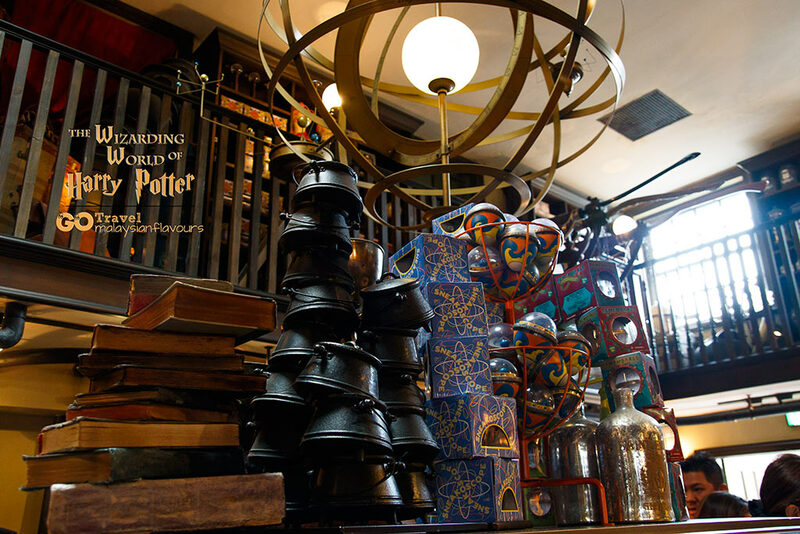 Harry Potter & The Forbidden Journey Ride, bubbly Butterbeer, Bertie Bott’s Every-Flavour Beans, Chocolate Frogs, we are coming! 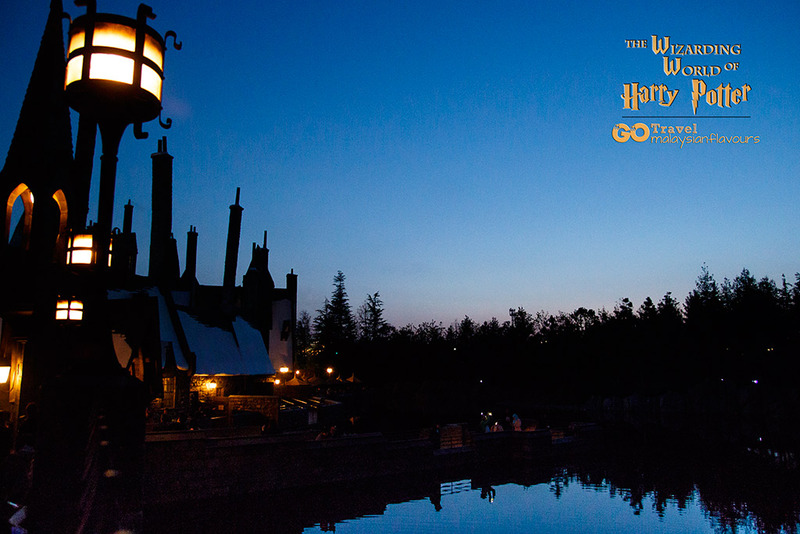 The “100M run” stopped in front of the breathtaking Hogwarts castle, the attraction for Harry Potter & The Forbidden Journey Ride. 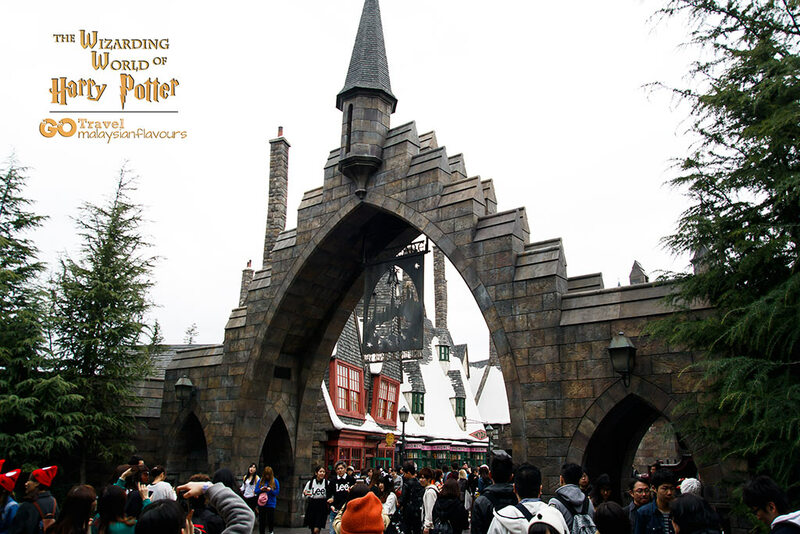 Most of them who enter The Wizarding World of Harry Potter early will first queue for this ride to avoid long waiting time later. We finished our ride by 9.30AM and when we were about to leave the zone, waiting time became 50 minutes. 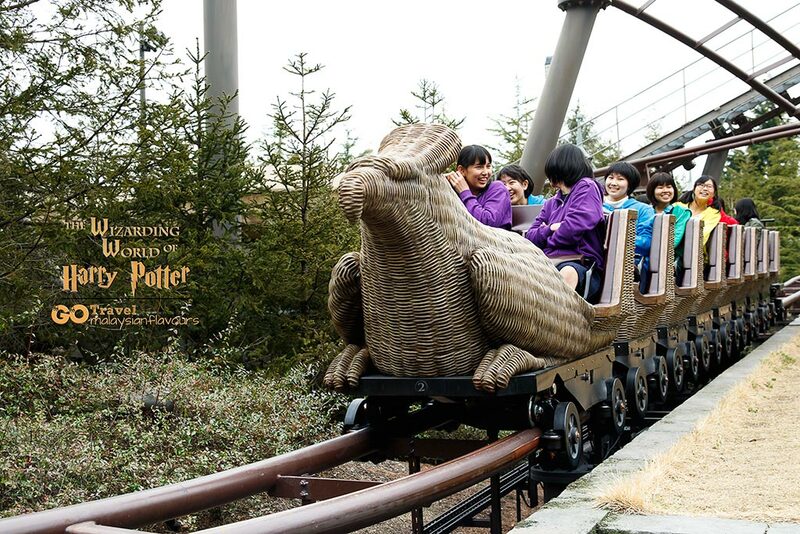 Besides Harry Potter & The Forbidden Journey Ride, there is also Flight of the Hippogriff roller coaster that swoops and dives past Hagrid’s hut. 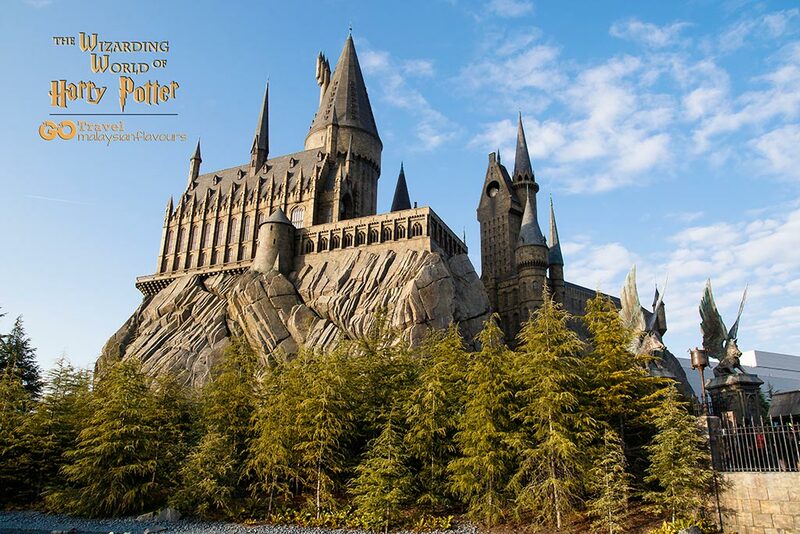 Nothing much surprise when comparing to the award-winning, state-of-art 4K technology in 3D, high speeds thrilling experience of Golden Snitch races from our Forbidden Journey Ride. 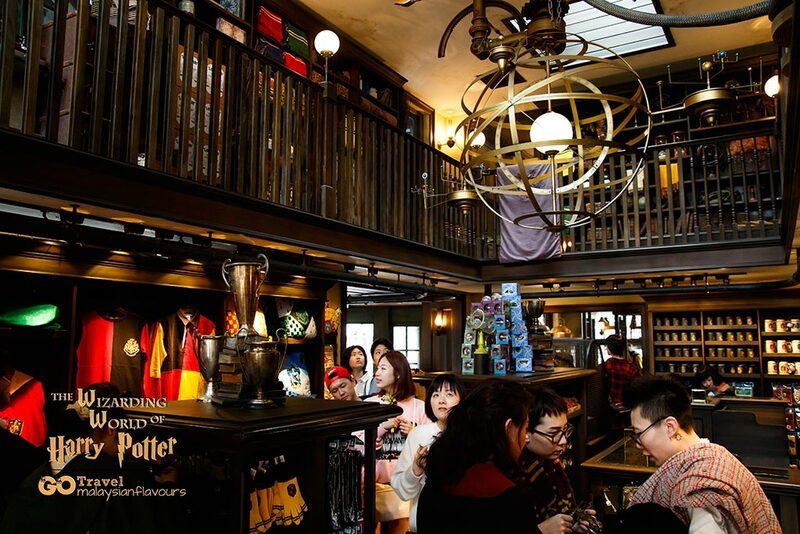 A visit to The World of Harry Potter Universal Studios Japan Osaka is incomplete with a taste of butterbeer! 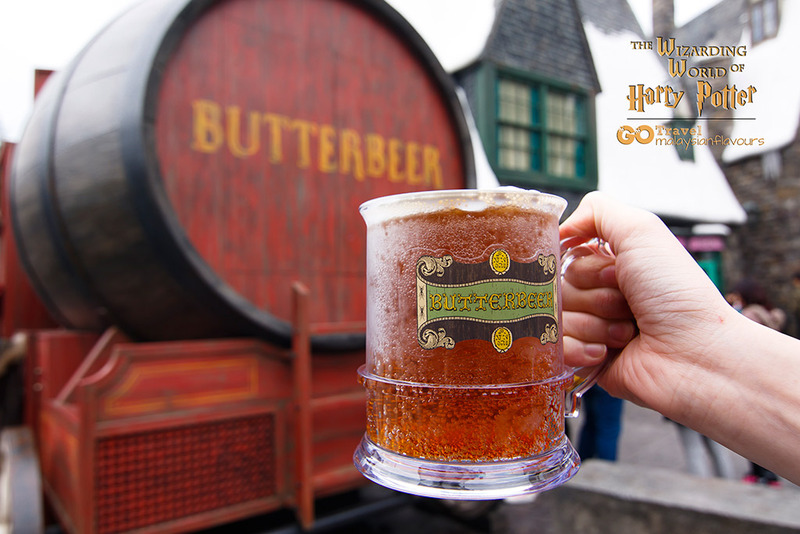 Get one from the Butterbeer truck, Three Broomsticks Restaurant or the Hog’s Head bar. It is sweet, non-alcoholic, fizzy with apple tang with butterscotch flavour foam on top. Available in hot and cold. The beer is priced at 600yen per cup, we added another 500yen to filled our “beer” in a mug, which can be bring home as souvenir. 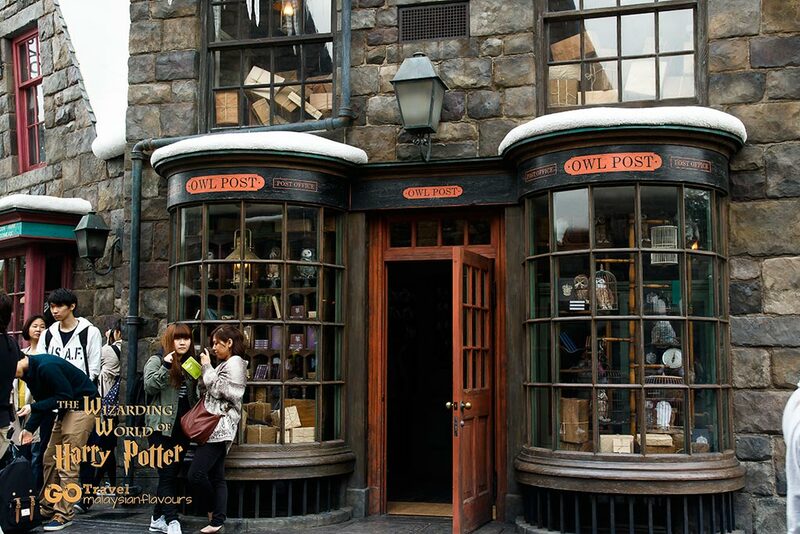 We queue for 20 minutes outside before getting into the Ollivanders, a small and dusty shop brimming with all kinds of wands ! 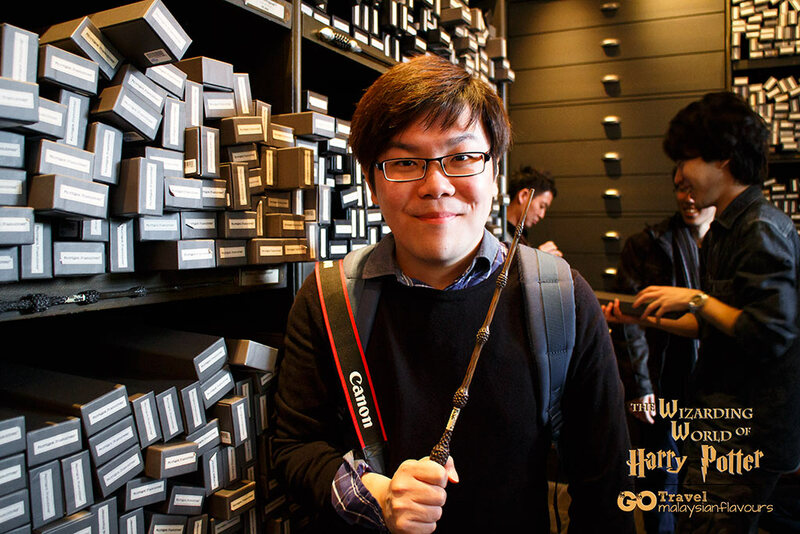 Expecto Patronum! Don’t play play. He knows the charms and spells. But too expensive to own one. Summergirl said she will crave one for him using tree branches pick from the roadside after back to Malaysia. Meh. 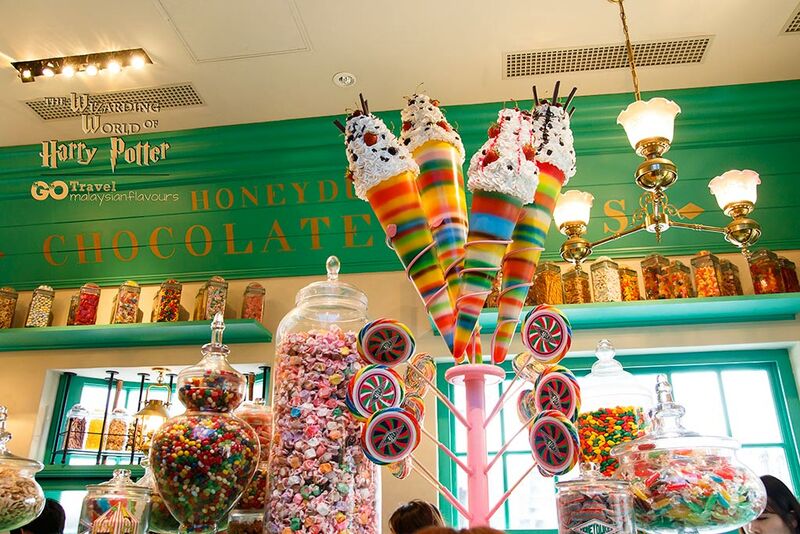 Walk into Honeydukes, Ollivanders, Zonko’s and Filch’s Emporium, shops well-loved by the students of Hogwarts School of Witchcraft and Wizardry for souvenirs like Haowarts school uniforms, magical wand, chocolates & candies, etc..
Summergirl almost wanted to pengsan (faint), as the wizard-wanna-be Summerkid was so attached to everything in there and refused to leave, happily wearing everything onto him. 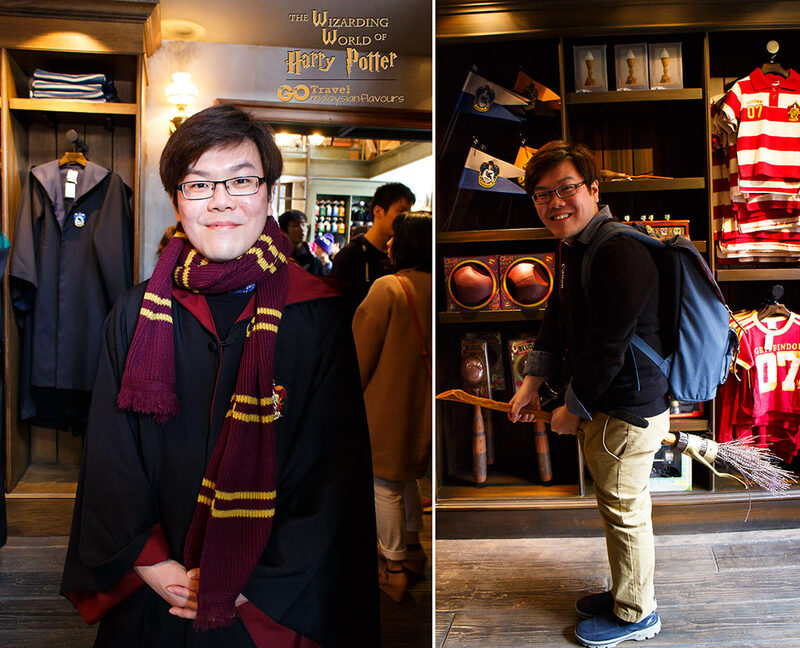 Here’s the odd-looking him with full set of school uniform, robe, scarf, minus the tie & wand hahaha. 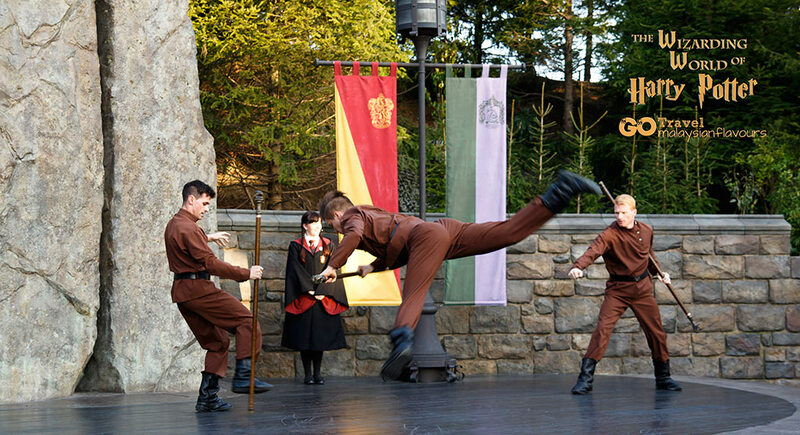 Enjoy street performance by a choir of Hogwarts students, as well as a great show of Triwizard Tournement, watching students from Beauxbatons and Durmstrang to demonstrate their battle skill. 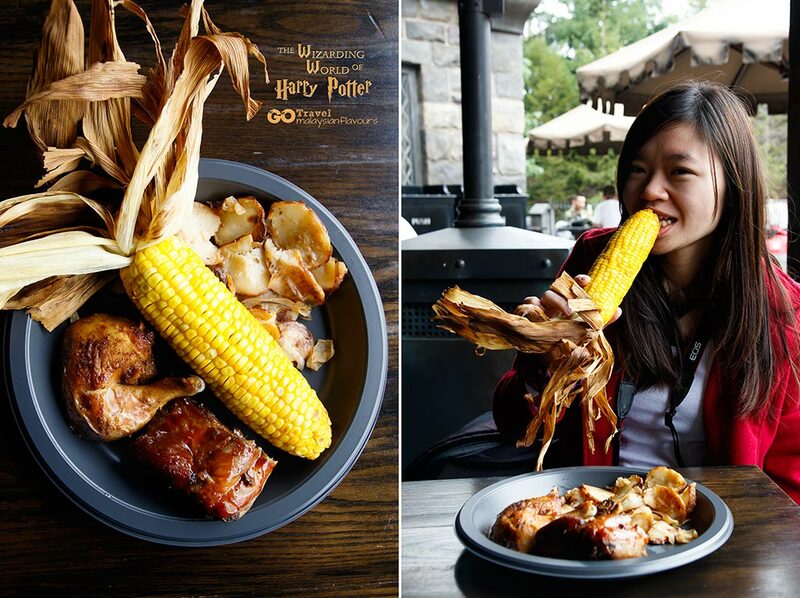 Stopped by Three Broomsticks Restaurant for quick “lunch of wizard”, since Summerkid was so relunctant to leave his wizarding world. As expected, food was just OK, considered reasonable in price for an amusement park. Mediocre ribs and chicken, corn cob was on the better side, juicy sweet with a touch of grilled aroma. 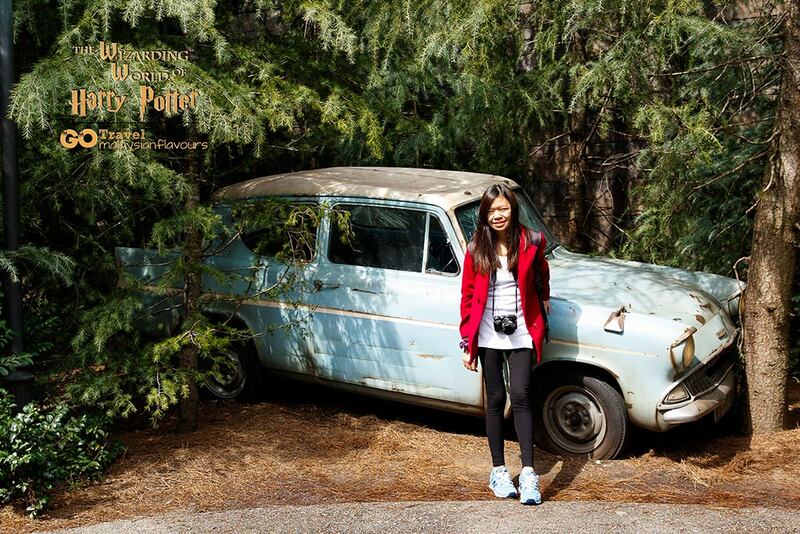 It was already 1PM by the time we left The Wizarding World of Harry Potter. The place is getting more crowded. We followed the Studios Pass signage, with a little help from Universal Studios Japan map to Central Park after leaving and try our luck for Timed Entry Ticket. We were told that Timed Entry Tickets were still available, but only for certain time slot. 4.20PM – 5.20 PM was the latest time available, so we reserved for 2, and returned for night view. NOTE: One USJ park ticket can only redeem one Time Entry Ticket. 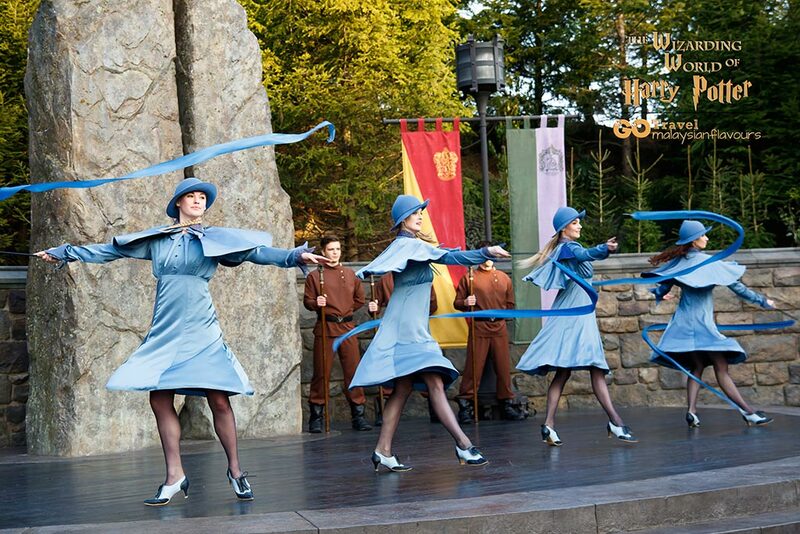 So hey yeah, this was how we entered The Wizarding World of Harry Potter again on the same day! Thought of riding on The Forbidden Journey game again but the waiting time was 60 minutes. Gave up and rest took a rest on benches, waited on the night to fall, lights turned up for a more mystery scene. 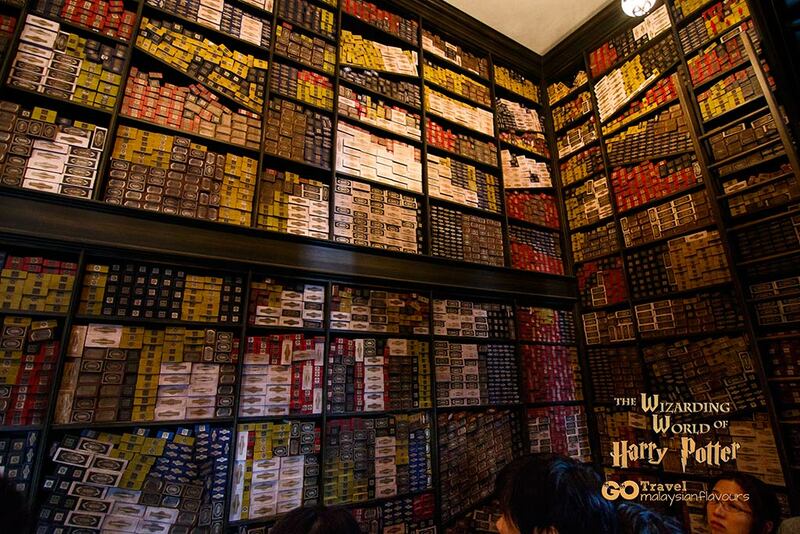 Memorable, unforgettable half day trip for muggles to be in the world of wizard. Hahaha. 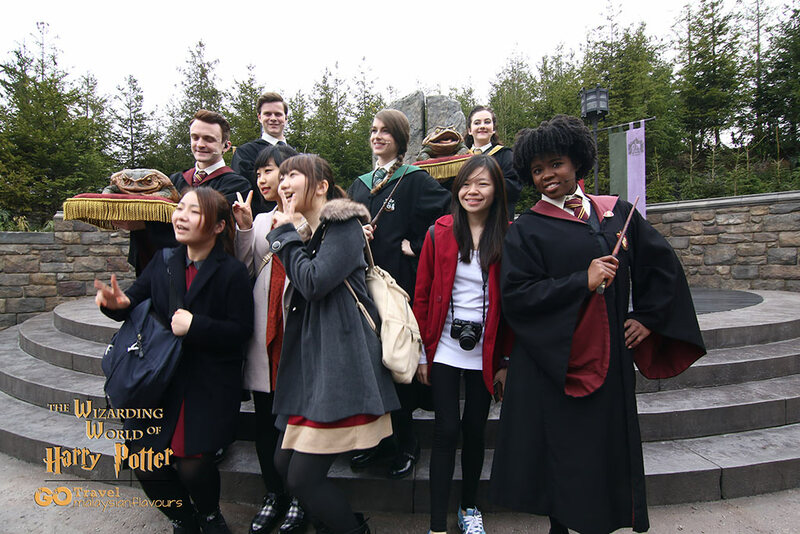 Stay tune for our whole day theme park Universal Studios Japan blog review in coming post! Oh gosh..im going next week and am so glad for this post! I’ll make sure im there at 7am to be in front!! Thanks for the great post! Hi! 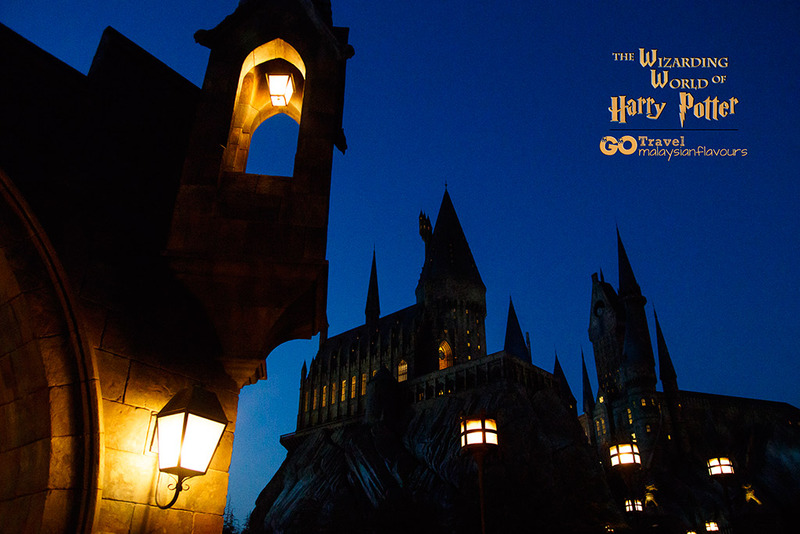 Enjoy your trip in the world of wizard! Helo!!! 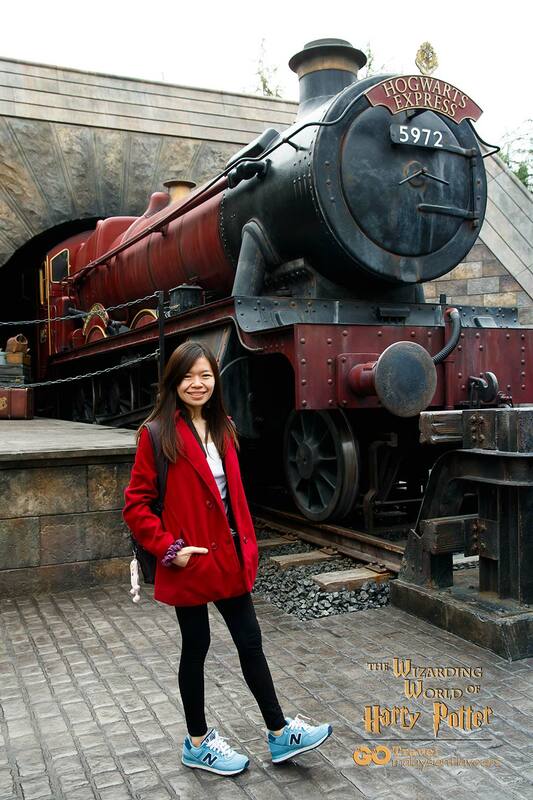 I just went to USJ today..and did what you said! 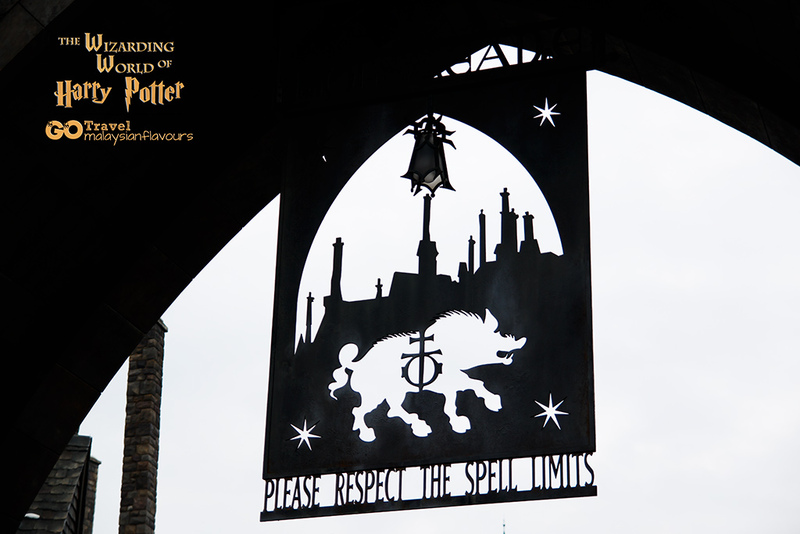 But we were lucky that it was not very crowded that we can enter the HP world freely the whole time..went in twice and managed to take the rides within 20mins…it was really awesome! Thanks for the great post. 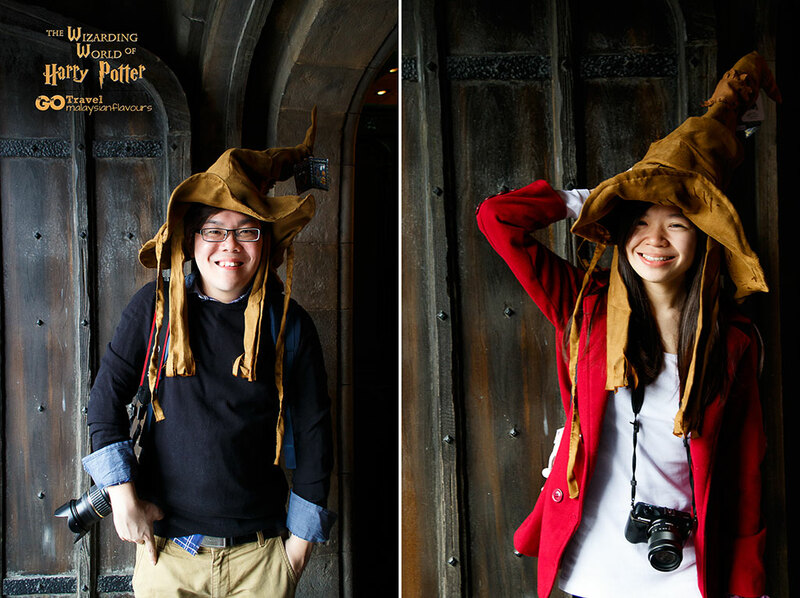 We are going to USJ this coming November. Thinking to purchase the tickets and express pass through the official website but only the Japanese website allows it to do so. But is not easy to go through the process although with google translator. Hence, would like to get more information from you. As mentioned in your post, you bought the USJ tickets at KLCC. Do they sell the express pass? You mentioned that we can purchase the USJ tickets at Kansai Airpor too. Do you know do they sell the express pass? Thanks in advance for your advice. Great post! Can you tell me when the part 2 will be up? Hi, thanks for your post, it really helps a lot. 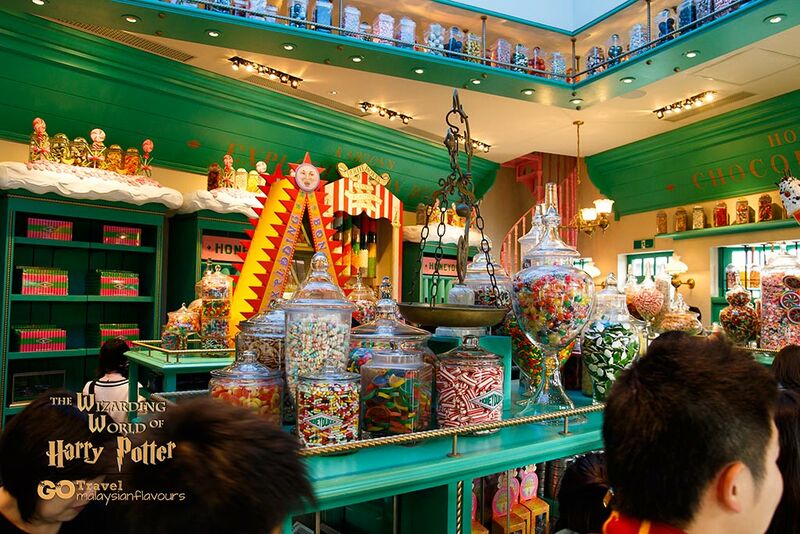 I will be going to USJ on 3/12/2016. Trying to get the birthday pass for my hubby but not too sure how to register at the website which you mentioned in your blog. If we purchase the ticket from JTB, would i be able to purchase birthday pass? hi, i want to ask something. 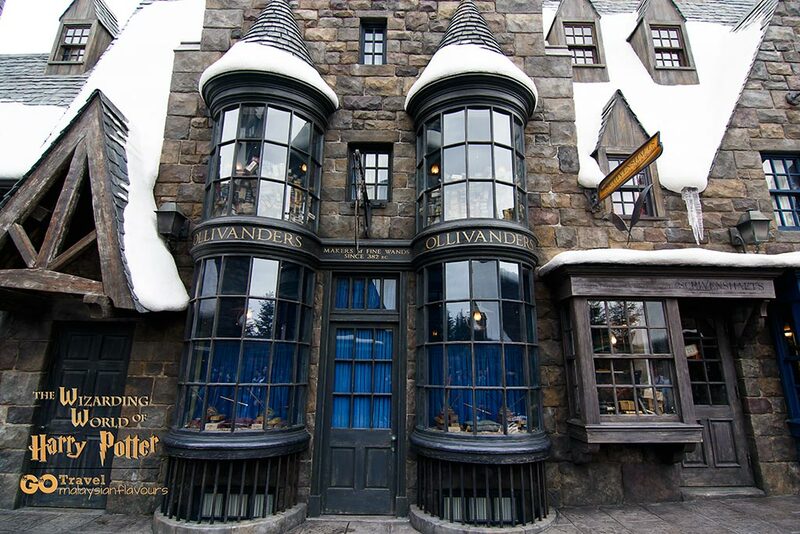 if i want to enter Wizarding World of Harry Potter, how can i know i need to withdraw the entry ticket or like you just come early & queue in front of the castle ? is the withdraw machine near the castle ? and the worst case is i need to withdraw the ticket and get one, is it a guarantee that i can enter the show ?